"This classic feature from the late 70s-early 80s is now on DVD." 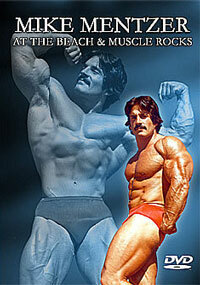 ROGER CALLARD was filmed in 1977, at the legendary "Muscle Rocks", high in California's Malibu Mountains. 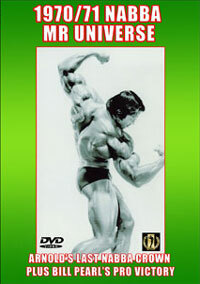 Roger had just won his class in the IFBB American Bodybuilding Championships the week before. In this video he is weighing around 205 lbs (93 Kg) at 5'9" (175 cms) tall and 27 years of age -- and with the deepest natural tan we've ever seen. See a wonderful article on Roger in the December 2007 issue of Iron Man Magazine. In it he is asked what was the high point of his competitive career. 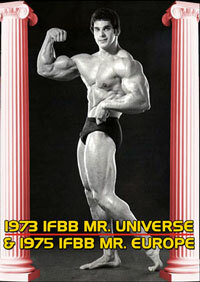 His reply was the 1977 Mr America Bodybuilding Championships. This film was shot immediately after this event! Roger's motion picture career includes appearances in Sextette, Pumping Iron, Stay Hungry, World's Strongest Man and other films, as well as many TV and magazine ads world wide!! Here you'll see Roger in his professional, classical posing display - and - pumping with plenty of closeups. 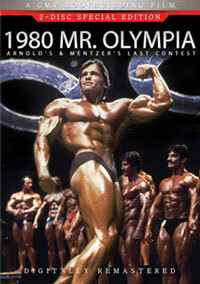 He was also a good friend of Arnold Schwarzenegger and some time training partner. Also on this tape, TONY PANDOLFO from NYC in a super out-door session of pumping and posing at Vasquez Rocks. Very macho muscle with fantastic closeup muscle shots! This was shot on the day after Tony won the short class at the 1977 AAU Mr. USA. He was shredded and as hard as the rocks that surrounded us. Sadly Tony passed away on April 2nd, 2011. This segment of our DVD is a fitting memory of Tony at his bodybuilding peak. Plus Californian legends MIKE SABLE and JIM TARLETON, filmed on the Venice beach in sunny California in the summer of 1980. Digitally remastered to DVD with a music soundtrack added.